If you’re not sure which Mac operating system you have installed, here’s an article on how to check. 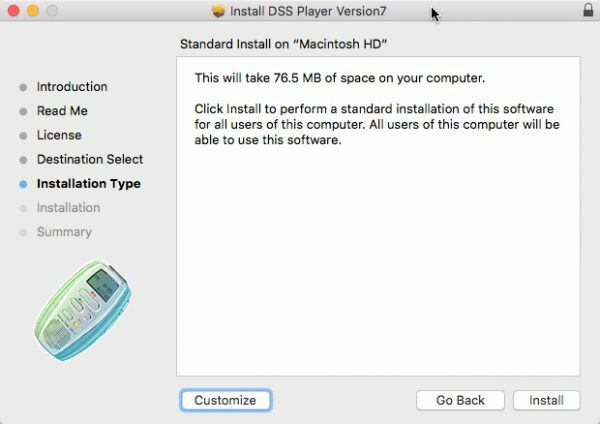 This version added support for Sierra, and there was a small bug fix included for SD memory cards that are 4 GB or larger. If you update to v7.5.3 or higher, these cards will now be recognized when you plug in your Olympus voice recorder. If you’re still running Mavericks (OS X 10.9), you’ll need this version instead of v7.5.4. Where Do I Get the Updates? 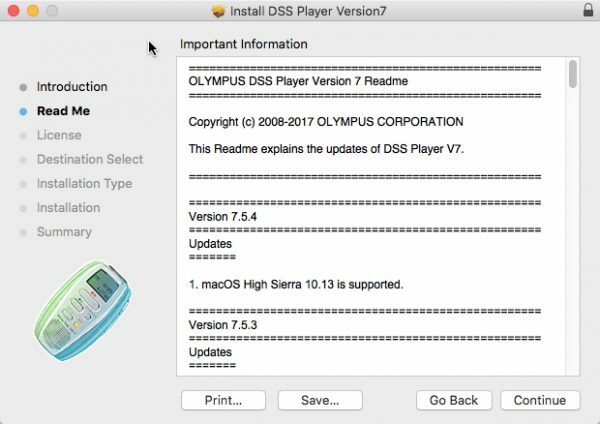 You won’t be able to download these updates through the DSS Player. Please reach out to your Olympus reseller. If you need a reseller, we’d be happy to partner you with one in our network. Please note that v7.5.4 includes all updates from earlier versions. 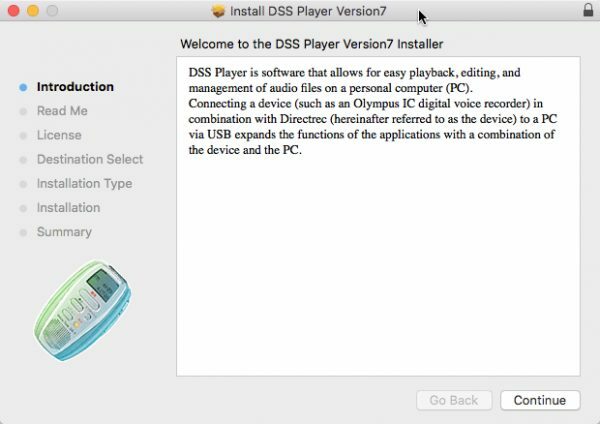 If possible, open DSS Player for Mac and click on DSS Player > About DSS Player at the very top of your screen. The window that pops up lists your software version. 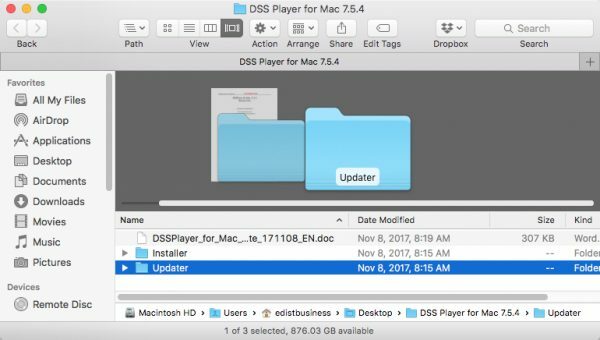 You should have downloaded the “DSS Player for Mac 7.5.4” zipped folder. Be sure to unzip it before proceeding. Inside of that folder, find the “Updater” folder and open it. 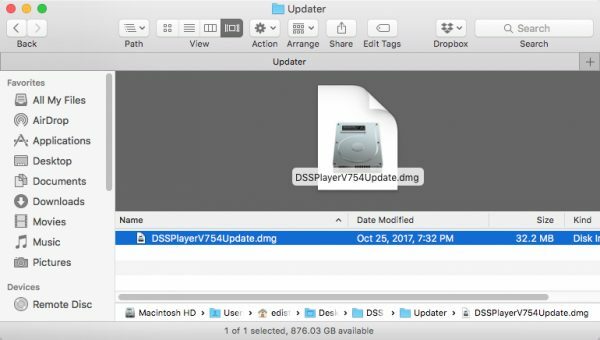 “DSSPlayerV754Update.dmg” should be the only file in that folder. Double-click it. You should now see a new window with a recorder icon labelled “Setup.” Double-click the icon. 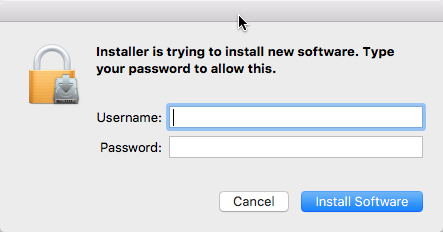 Your computer might ask you if you’re “sure you want to open” the installation file. Click the [Open] button. If [Open] is not there, follow these security steps. You should now see the “Introduction” screen of the installation wizard. Click [Continue]. Skip these notes; we’re already providing you this information. Click [Continue]. At the license agreement, click [Continue]. At the “Installation Type” window, ignore [Customize] and click [Install]. 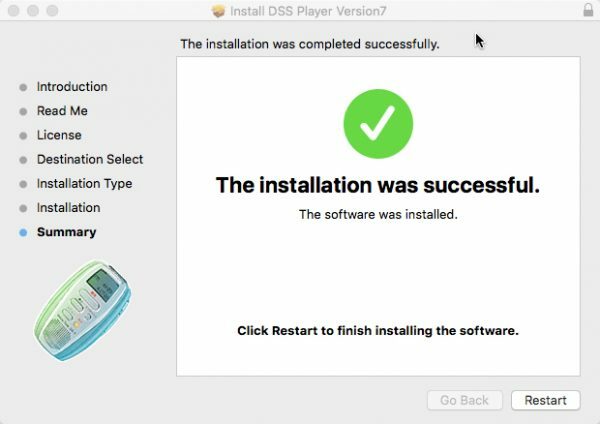 Your Mac may ask you for your administrator credentials before it installs DSS Player. This should be the login and password you use normally—unless you haven’t set one. In that case, you can leave the fields blank. Click the blue [Install software] button. You’ll see a prompt telling you that the computer will restart. Click [Continue installation]. You’ll see a progress bar. Once the installation finishes, save any documents you have open, then click [Restart]. 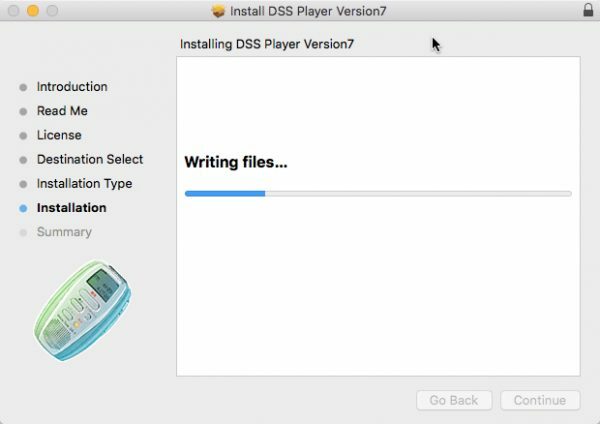 When your computer has rebooted, open up DSS Player for Mac and confirm the update. 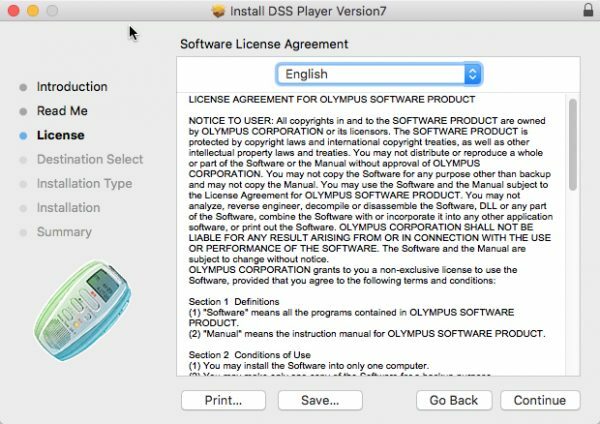 Olympus has noted that High Sierra may block the installation of your recorder, due to security measures. If this happens, you can [Allow] the device in the System Preferences > Security & Privacy menu (at the bottom of the “General” tab).